Fire at 13349-47 Orizaba Avenue, Paramount, 1952. 6 images. 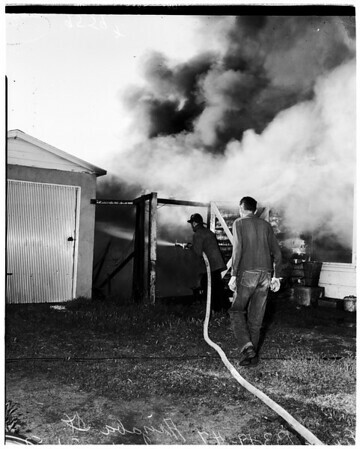 Fire at 13349-47 Orizaba Avenue, Paramount, 01 May 1952. General views.